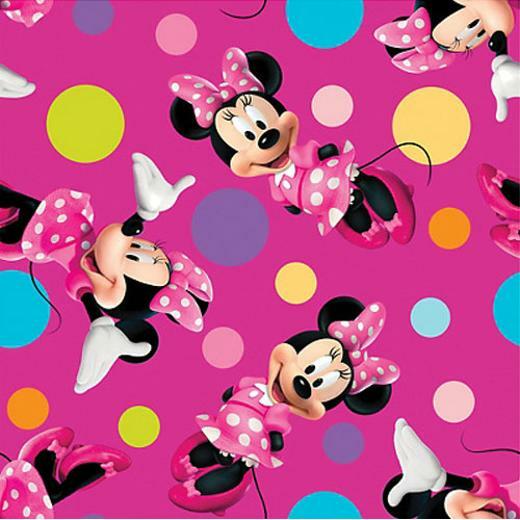 Minnie mouse gift wrap is the perfect way to wrap the perfect gift for your child. This Minnie Mouse gift wrap adds a beautiful touch to your gift and can be cut down to your desired size. Tie it closed with any of our stunning pull string bows (not included) and curling ribbons. Roll measures 2.5 feet by 4 yards. L: 30.0 in. W: 1.5 in. H: 1.5 in.